Kathcon Development’s real estate services division offers a unique real estate program for home and property owners that offer expanded marketability and profitability to the seller. Today’s real estate climate offers many opportunities for both sellers and buyers. We make it happen. Today’s real estate climate offers many opportunities for both sellers and buyers. The Real Estate Commission Options Underwriting Program, RECOUP, is offered only by Kathcon Development and only to qualified property owners. Through this program sellers can expand their market by offering their property three ways; existing as-is, vacant land or tear down/new construction. Kathcon will market and offer your property at three different price levels, expanding your market to many diverse buyers. 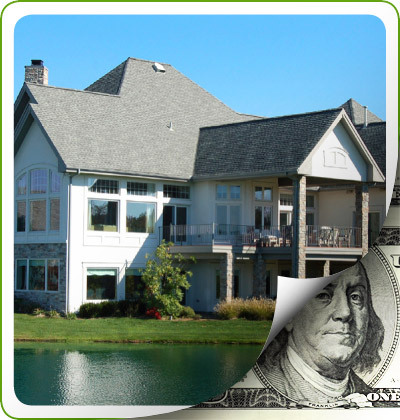 The best part of the RECOUP program is that it offers the seller commissions once the property sells, rather than paying traditional real estate broker/agent commissions. The purpose of this letter is to memorialize my experience with you and with Kathcon, Inc. regarding the recent sale of my home in Lake Bluff. First and foremost, this experience was an unqualified success, and both you and Kathcon were unfailingly professional in all of your dealings with me. In a situation in which home sellers and buyers can feel caught between their real estate representatives during negotiations, that dynamic was completely absent from our dealings, and I never had any question that you were acting exclusively on my behalf and in my best interests. Additionally, I was extremely grateful for your willingness to negotiate your real estate commission downward from a standard percentage, in order enable me to maximize proceeds from the sale, and in essence, to make the entire transaction economically feasible. In short, I could not have had a more positive experience, and I truly appreciate everything you did for us. Please feel free to make this letter available to anyone else, and please note that I would be happy to discuss my experiences further if anyone wanted to call me. Thanks again for all of your help, and best wishes for the future. You and your company have been a life saver. I was without hope or resources and you and your son, Tom came to my door with an incredible offer. The market did not want another "fix-up" short sale. Realtors had given up on my property being sold. It was going into foreclosure and there was nothing to be done. That is until you shared your business idea of developing the land. You treated me like your well respected sister. Everything was taken care of. Life was easier for me. The worry was gone. You handled everything and had me feel like my home was on your way to work and it was no problem to drop by for a signature. The professionalism of Kathcon combined with the warmth and friendliness of your personalities makes it a profitable pleasure to deal with you. Thanks for saving my credit from foreclosure. Thanks for making me some money in a horrible market. Thanks so very much for your kindness, resourcefulness, and assurances along the way. You always gave me confidence that things would work out and they did. *Based on a RECOUP new property sale of $850,000 with 3% RECOUP’s reimbursement to the seller. Talk directly to us, or we can contact you. Get more information about qualifying for our RECOUP Program.